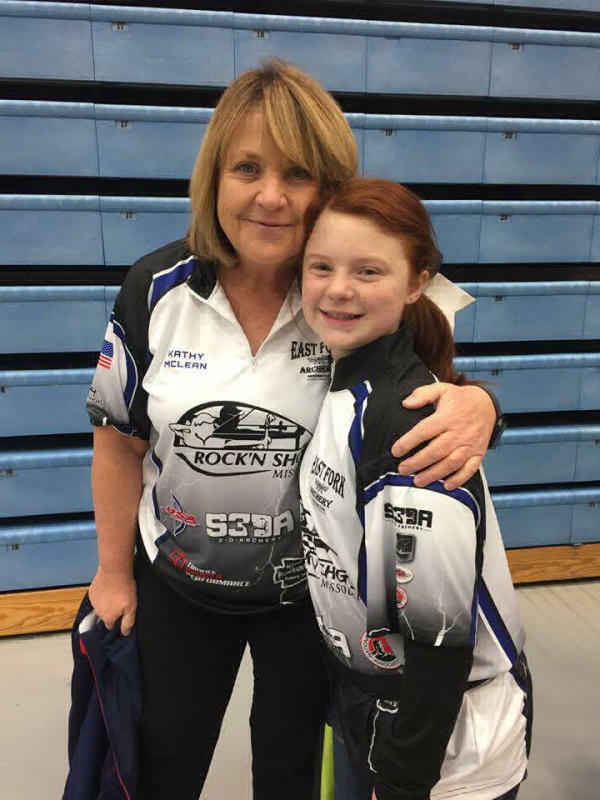 Williamsburg, KY – Scholastic 3-D Archery has named Katherine (Kathy) McLean as the S3DA Missouri State Coordinator. Katherine is a proud 5th generation Missourian living on a working cattle farm that’s been in her family for one hundred years. She helps out with farm activities as needed but her day job as an IT Account Manager for Bank of Montreal consumes most of her time. Katherine stated that she fell into archery quite by accident when her son got involved with archery as a 4-H project. She soon found herself traipsing around the woods with bug spray and scorecards in hand. Once her curiosity got the best of her and she gave it a try, archery became a passion. Her journey has taken many different paths since that time. She has competed at the national level in the Indoor, 3-D and Outdoor Target disciplines. In addition to competing, she enjoys sharing the sport with others and is a Certified Level 3 NTS Instructor, USA Archery Judge, and S3DA Advanced Instructor Trainer. She has fulfilled 3 terms as the Missouri NFAA State Director, served as volunteer County 4-H Shooting Sports Coordinator as well as many other facets of the archery field. She also enjoys spending time at church. Katherine is a member of S3DA’s partnering organizations. Katherine will continue to oversee all aspects of the S3DA program in Missouri, including tournaments, trainings, and division of the state into regions that will allow S3DA participants multiple monthly competition venues as close as possible to their home location. Katherine is actively recruiting and hiring Regional Coordinators to oversee and manage individual regions.